The Resident Tourist: Pumpkin Season . . . I love pumpkins. I know, it's weird. I'm fully aware of the hilarity of my obsession, but they're just so perfect and cute. Maybe it's because I'm an October baby, but pumpkins make me happy. I love the way they look, I love they way they taste, I love what they represent. So the other day when Scott asked if he should toss the baby pumpkins now that Halloween was over, you can imagine my horror. No way. Pumpkin season is still in full swing. I'm still drinking Pumpkin Spice Lattes (lately I've been making my own with this Pumpkin Pie Spice from Trader Joe's), I'm still eating anything that's pumpkin flavored (the Pumpkin Macarons from Payard are my new favorite, like a pumpkin bread/macaron hybrid), I'm still displaying miniature pumpkins in my living room - and will be until Thanksgiving, the official end to the season in my mind. 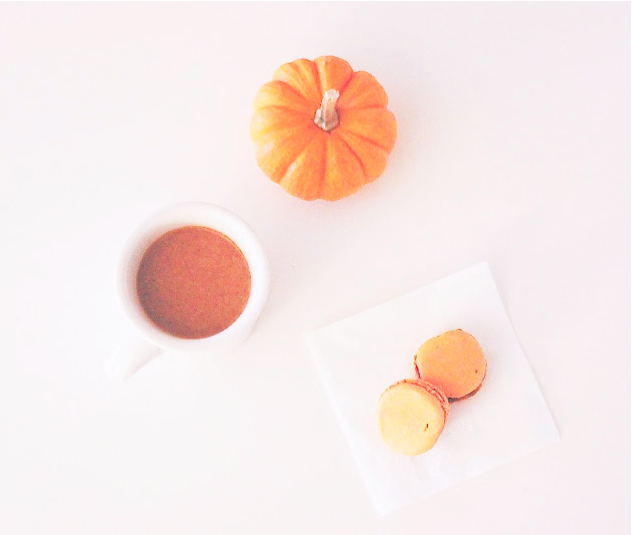 Happy weekend, happy pumpkin season! PS. Is it bad that I eat macarons for breakfast?